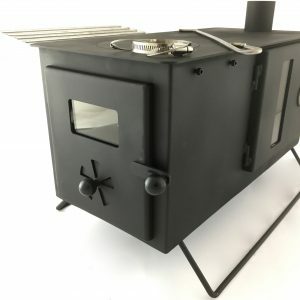 Bespoke Fireproof Stove Hole Cover. 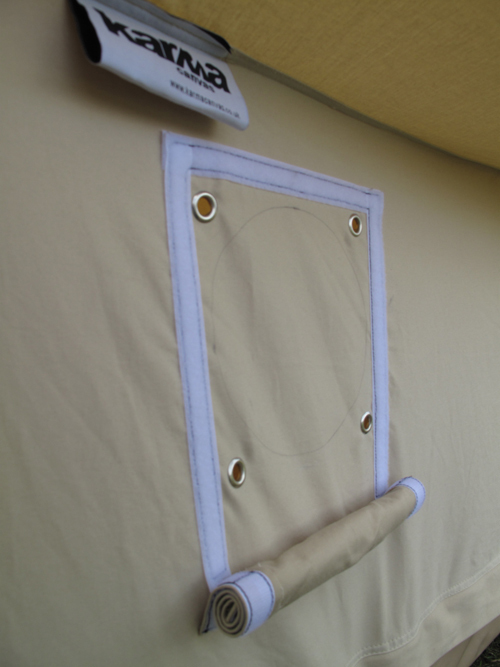 This bespoke fireproof cover can be rolled back when in use and is secured with a velcro seal. 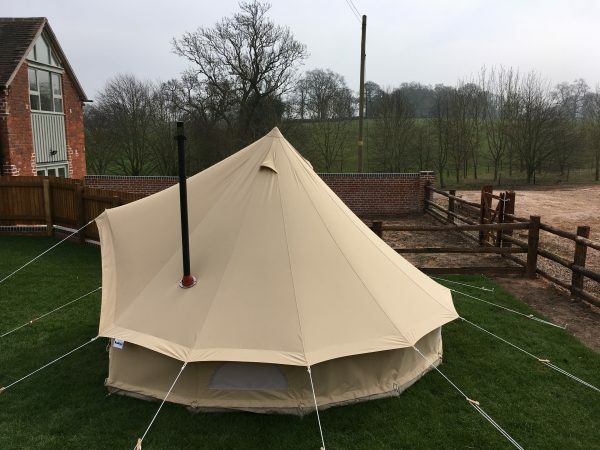 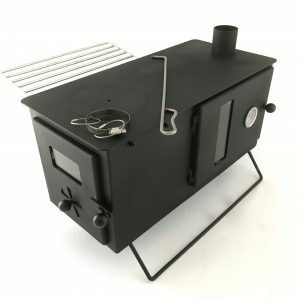 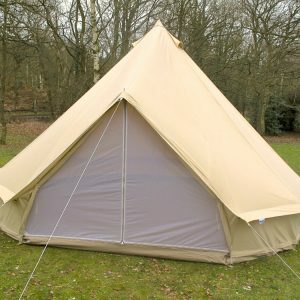 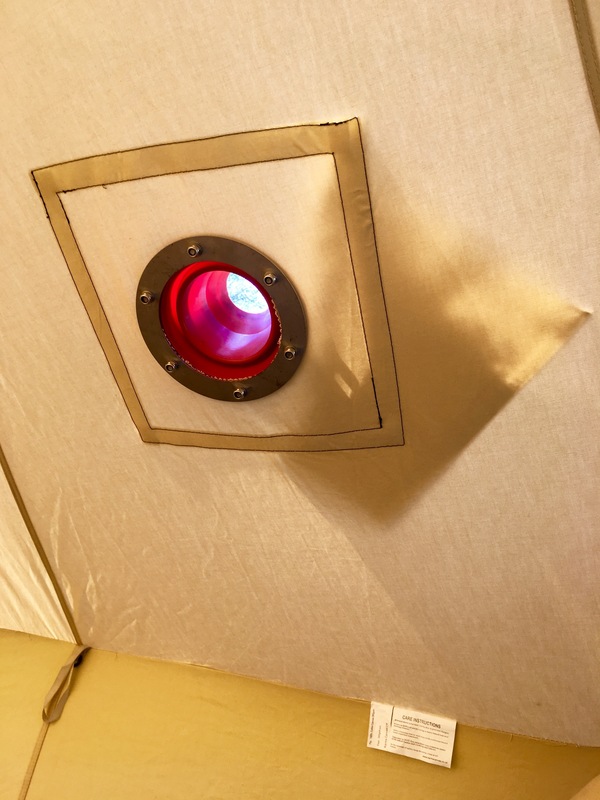 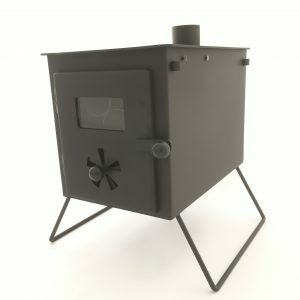 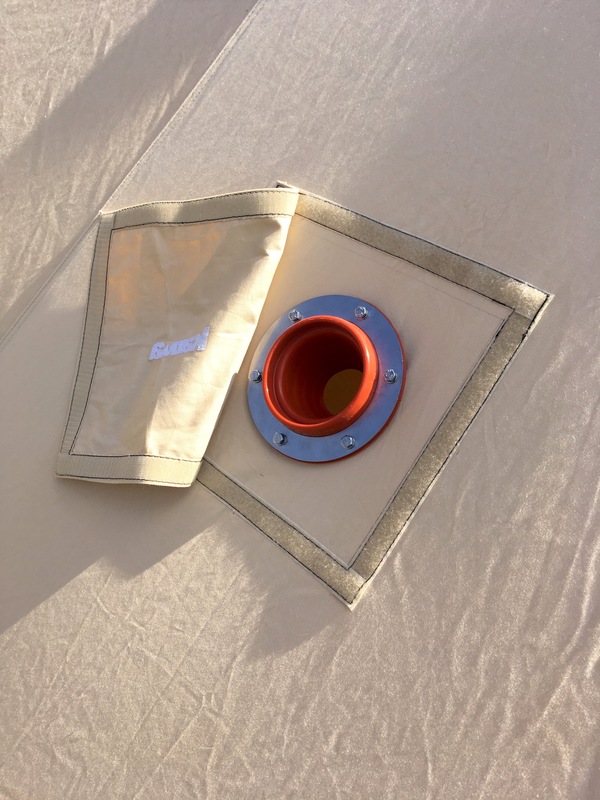 It has been specially designed to cover the flue exit on your tent giving you a professional, water tight finish when your woodburning stove is not in use. 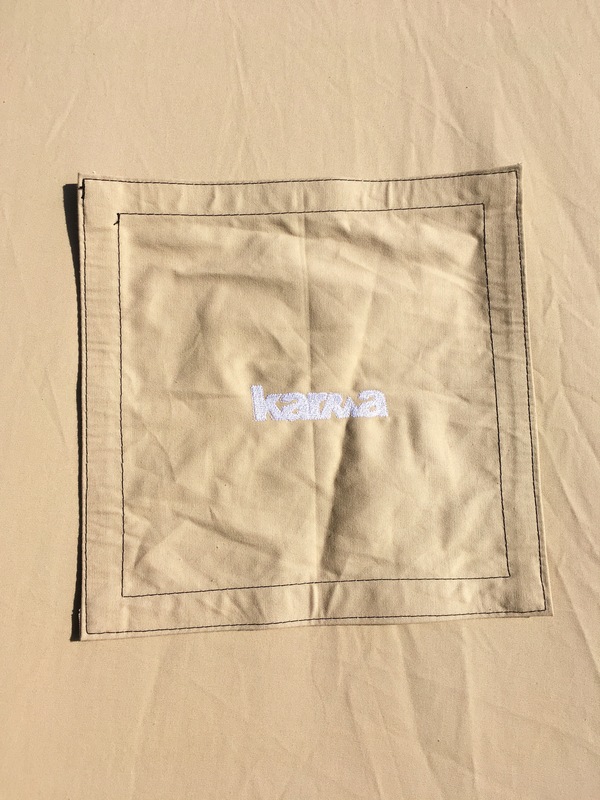 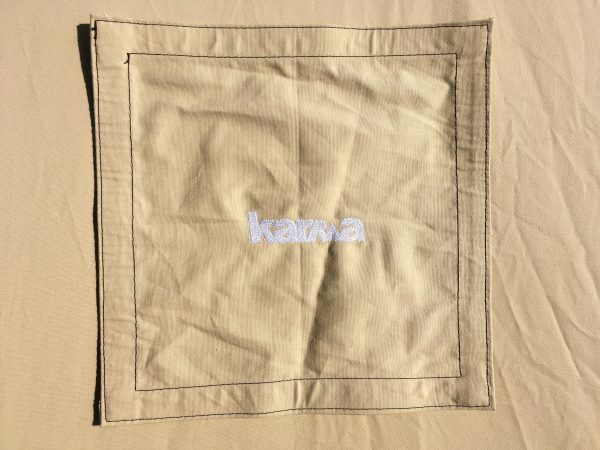 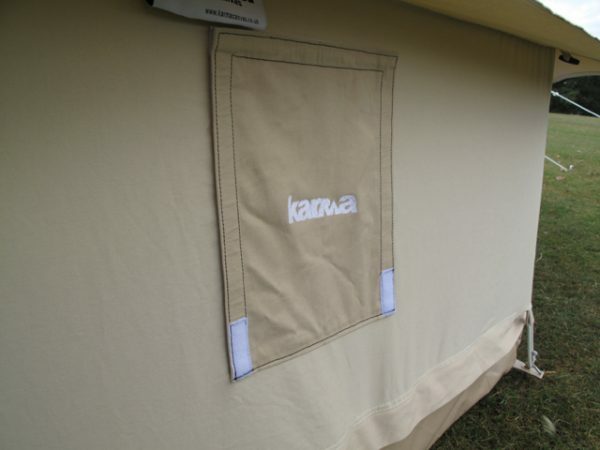 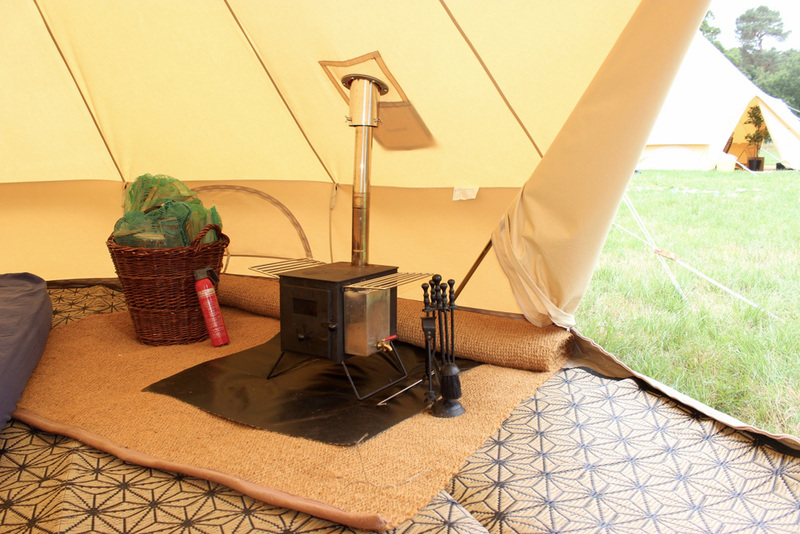 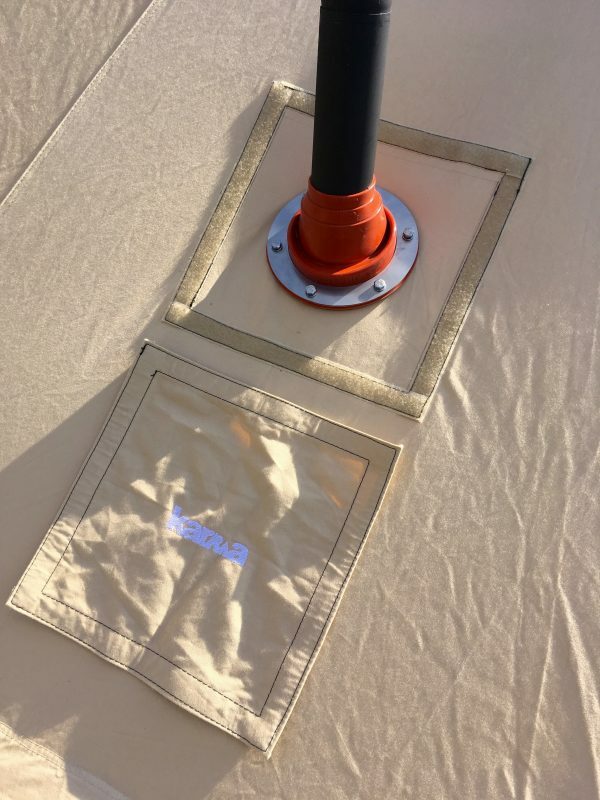 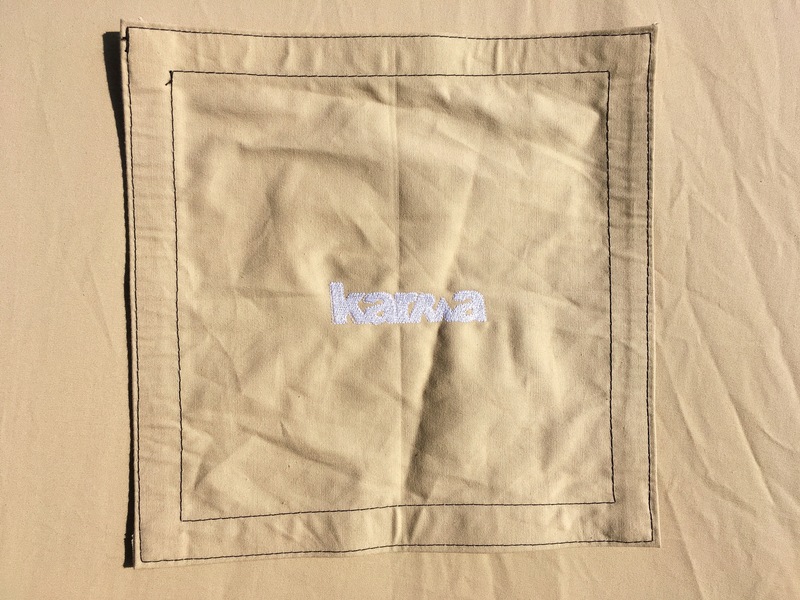 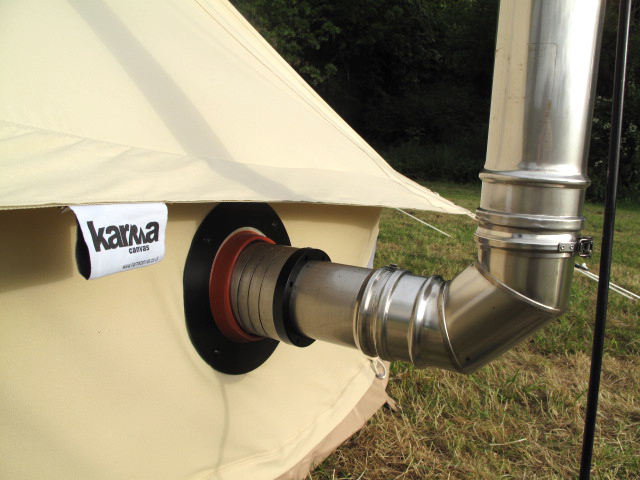 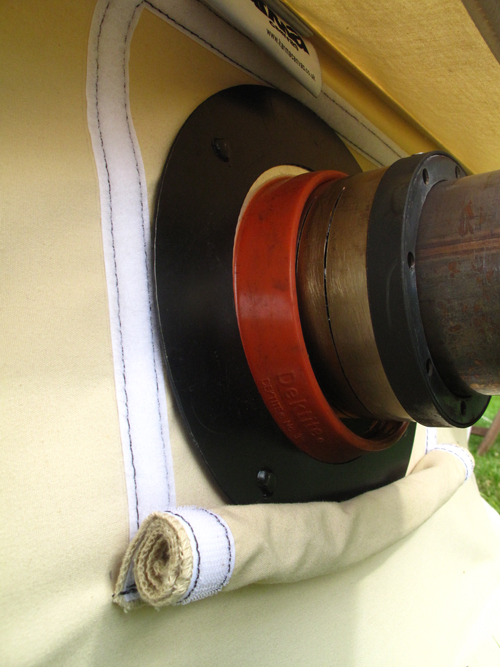 Karma Canvas offer a bespoke stove-hole cover fitting service, which can be retrofitted to your desired location on any of our tents giving you the choice of where to place your stove. 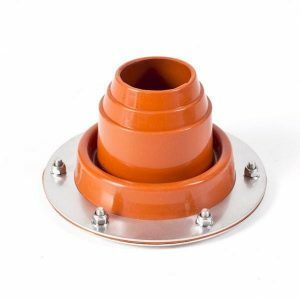 We adapt the cover in-house for either roof or rear exiting flue pipes and can accommodate any stove type and flue diameter. 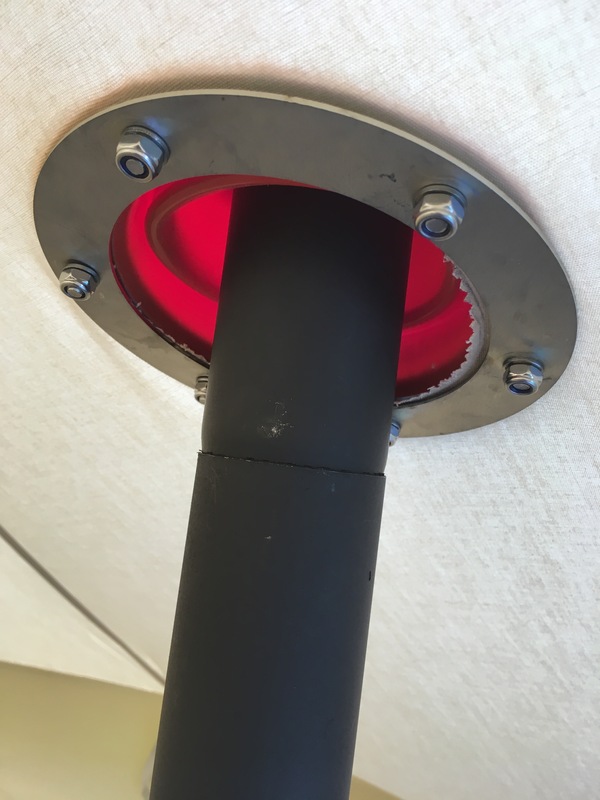 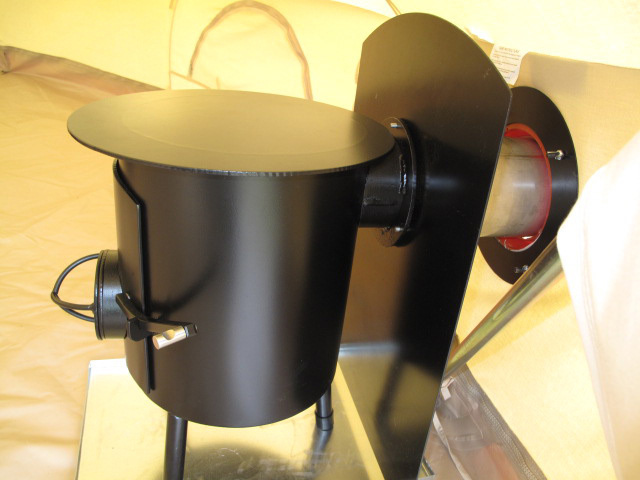 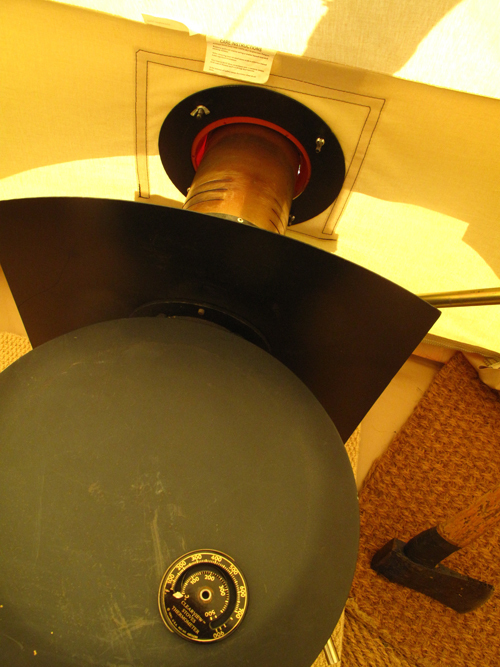 We do not cut the hole for the flue due to the array of different flue diameters available on the market, giving you the freedom to choose the right stove for your set up. 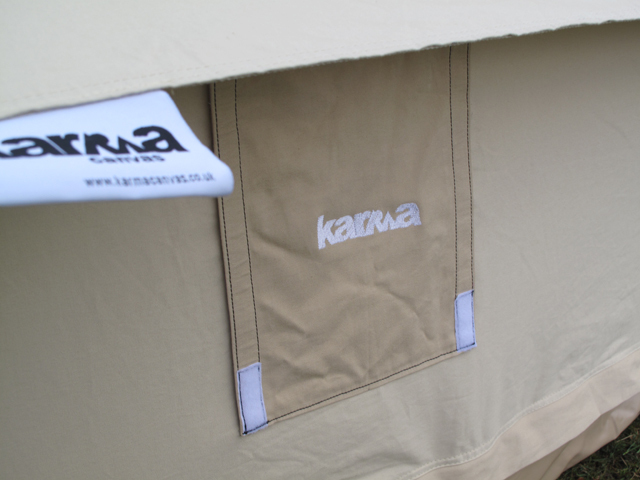 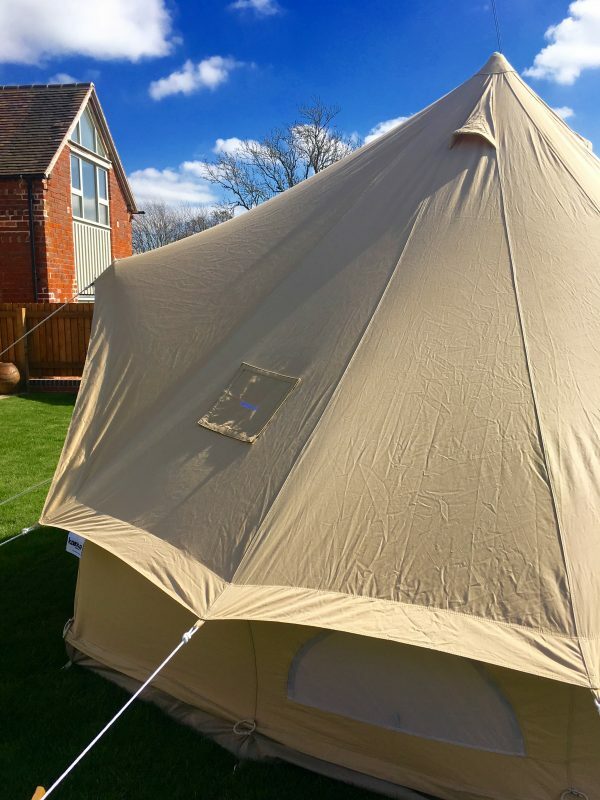 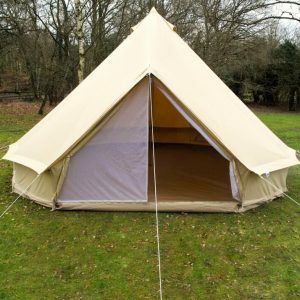 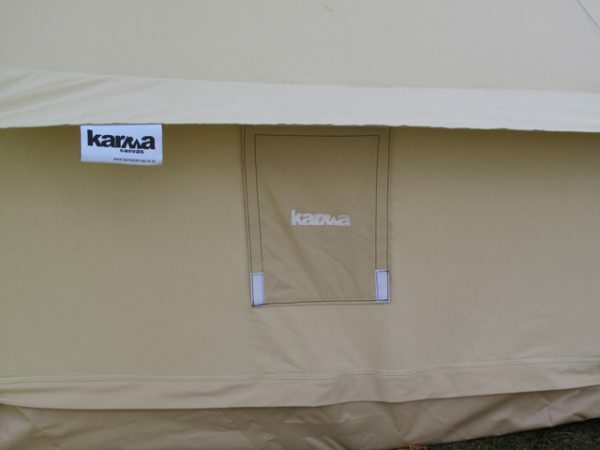 This feature can be added when ordering your tent, or retrofitted to any existing karma canvas tent, each will be individually adapted to order. 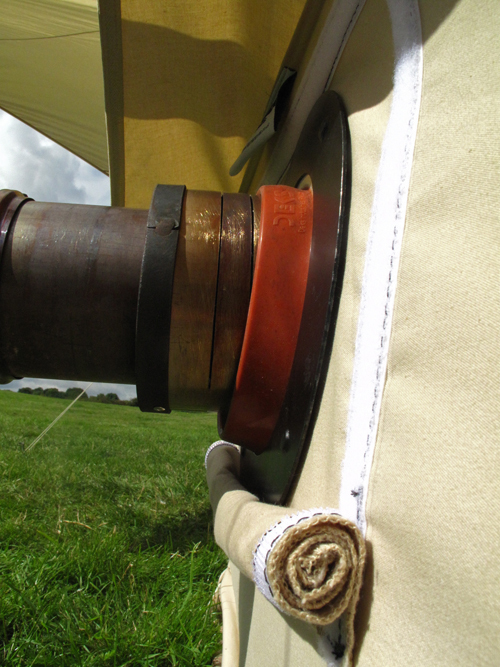 Before we adapt your tent a team member will contact you to discuss your choice of positioning. 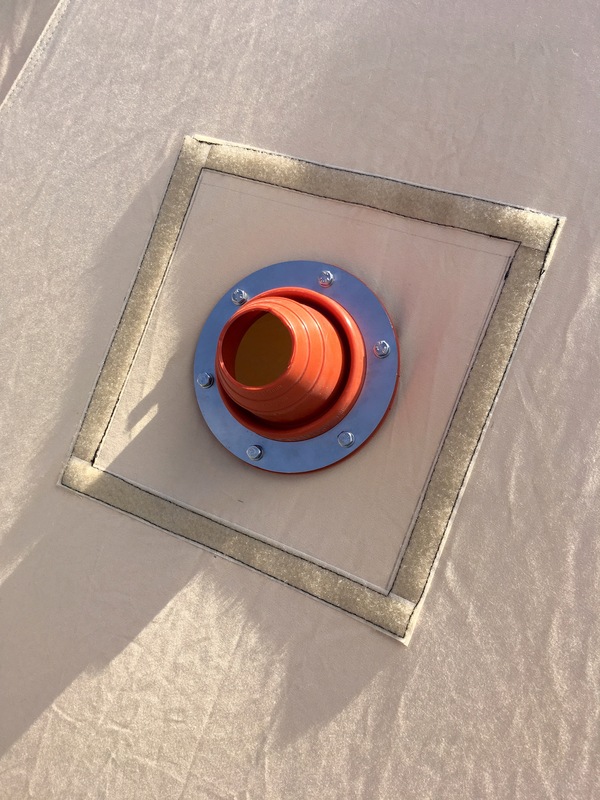 Our Stove Hole Cover is protected by way of registered design in the UK, EU, USA, Australia, China, and other relevant territories.